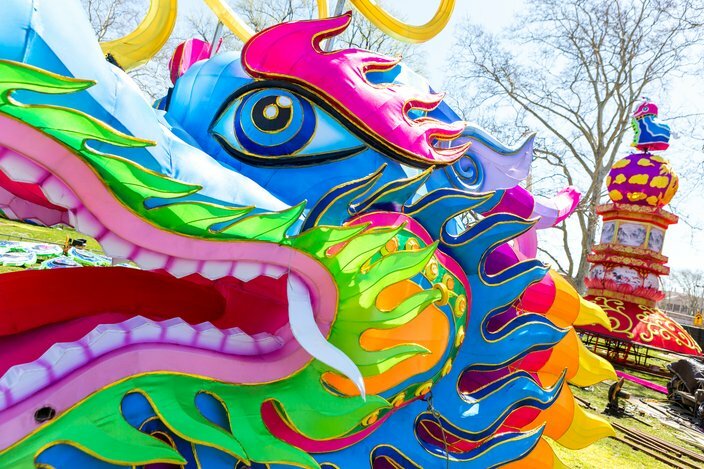 The Philadelphia Chinese Lantern Festival at Franklin Square will be open to the public daily from May 1 until June 30, 2018. Glowing in the morning's brisk spring sun, hundreds of Chinese lanterns are illuminated – and their 15,000 lights haven't even been switched on. 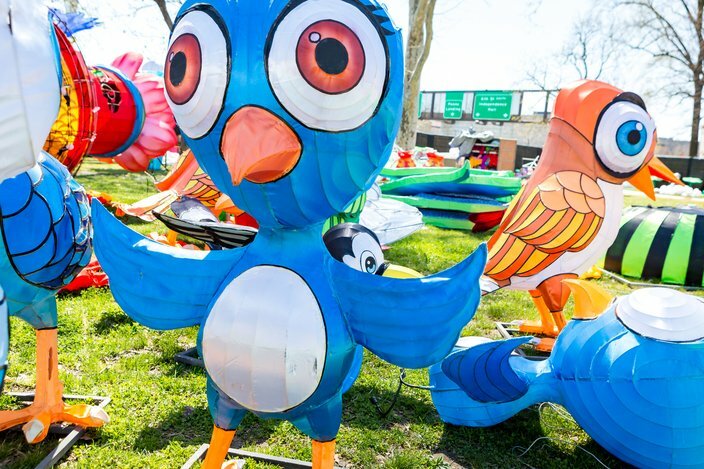 All the while, 30 artists from China work meticulously welding frames, stringing lights, and tearing, glueing, and painting silk to create the 1,500 individual pieces to become the 2018 Philadelphia Chinese Lantern Festival at Franklin Square. 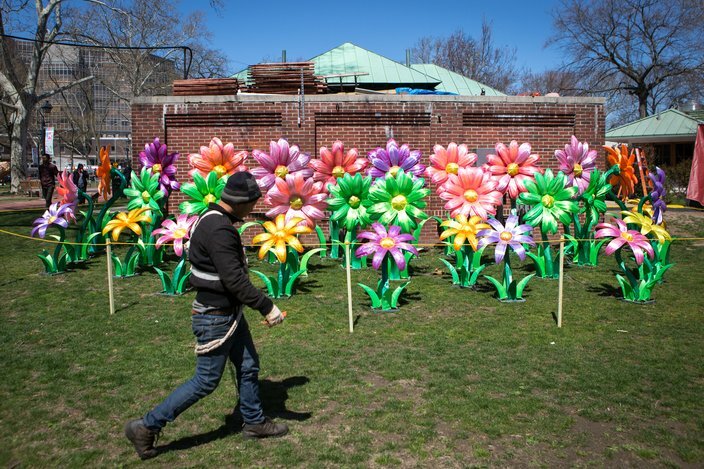 It will take more than a month to create the spectacle, which will be open to the public from May 1 until June 30. Here is a photo gallery preview of the work as it's being created. 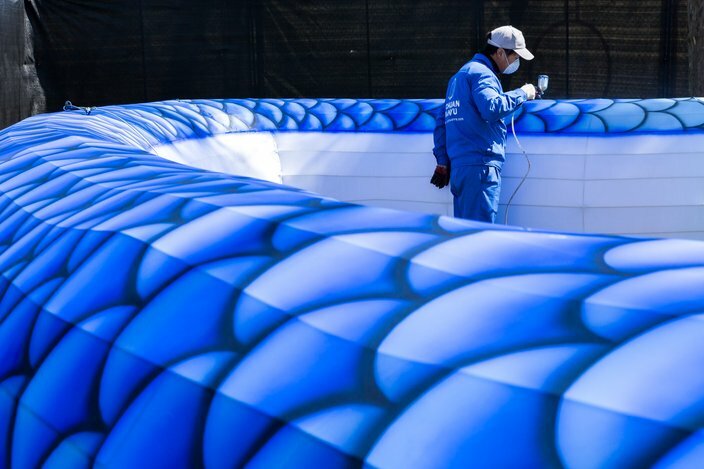 An artist carefully airbrushes the tail of a giant 200-foot-long Chinese dragon at Franklin Square, Friday, April 20, 2018. 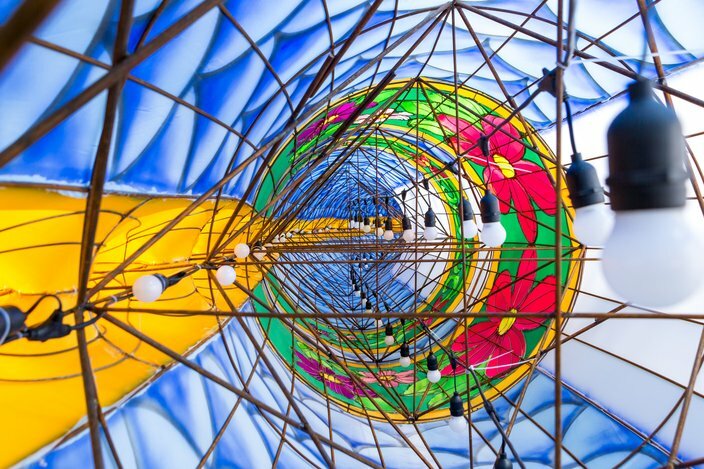 50,000 square-feet of silk is used to cover the frames of the lanterns. 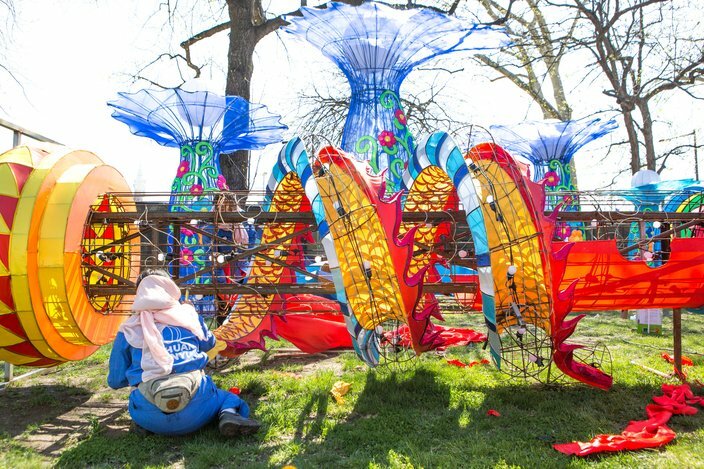 Stretched silk illuminated by the sun almost resembles stained glass inside the tail of the giant Chinese dragon. 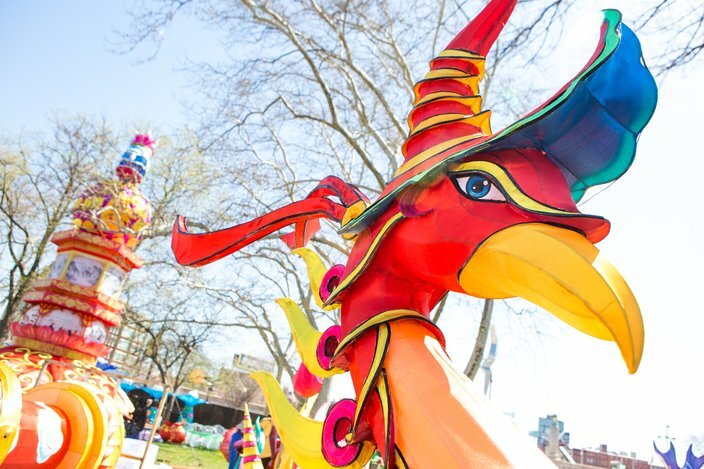 The festival consists of 1,500 individual works of art that are created completely by hand each year. 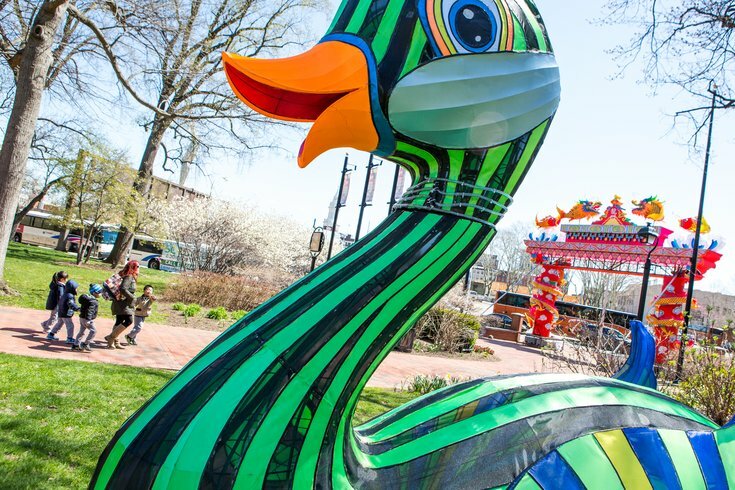 A team of 30 artists from China will work over a month to create the lanterns at Franklin Square. 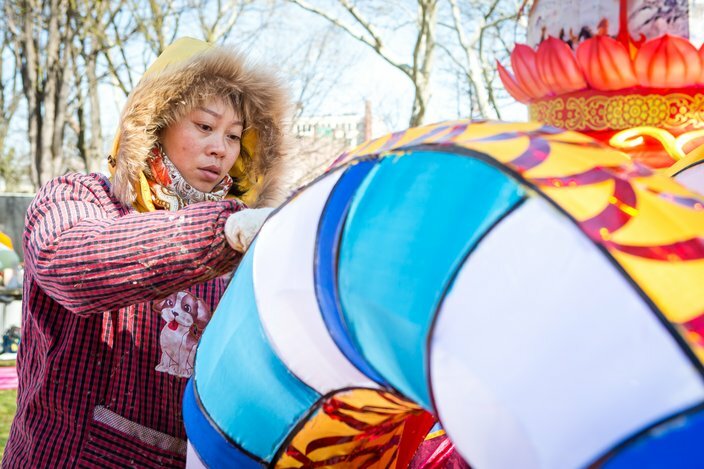 One of 30 artists from China tears and attached pieces of colored silk to the frame of a Chinese lantern at Franklin Square, Friday, April 20, 2018. 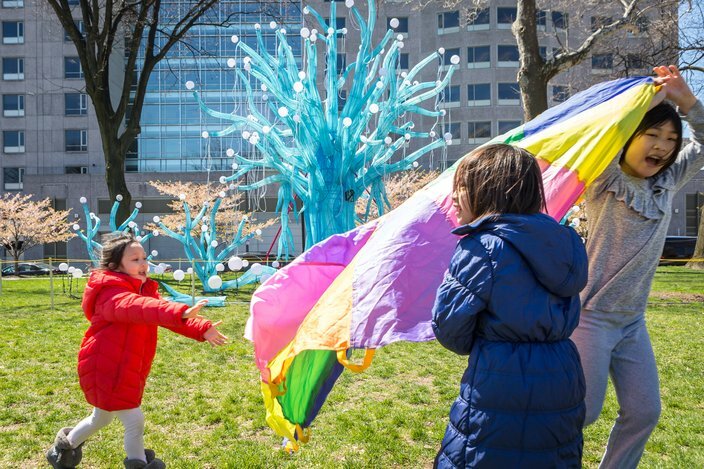 Children play at Franklin Square in front of the Fairy Tree, a new display that features a color-changing LED lighting design.